The product contains 100% of the recommended daily intake of magnesium and vitamin B6 in one bag.Magnesium contributes to the electrolyte balance and normal functioning of the muscles and nervous system. 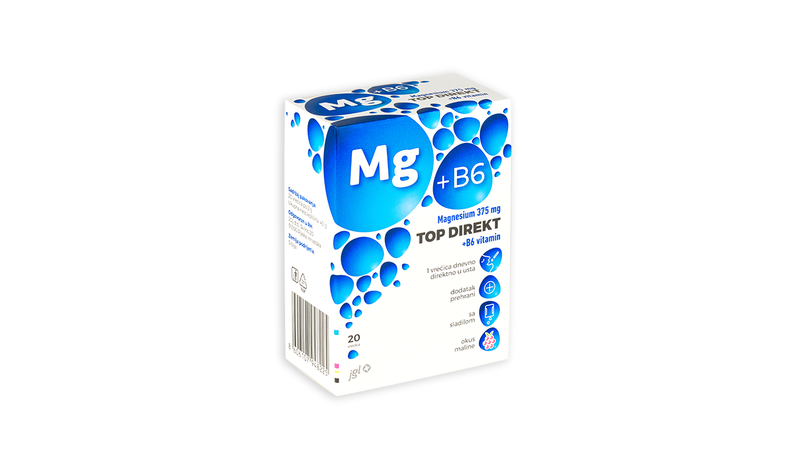 Magnesium and vitamin B6 contribute to a normal energy metabolism and reduce fatigue and exhaustion.The product comes in the form of granules that are taken orally, without dissolving in water. It is intended for adults and children over the age of 12 in a dose of one bag per day. It has a pleasant raspberry flavour.